I had heard quite a bit about the series before watching, but hadn’t seen any of the trailers, nor had I had any experience with the graphic novel. It is definitely crazy and not what I expected, at all, but I guess that’s why I enjoyed it so much! 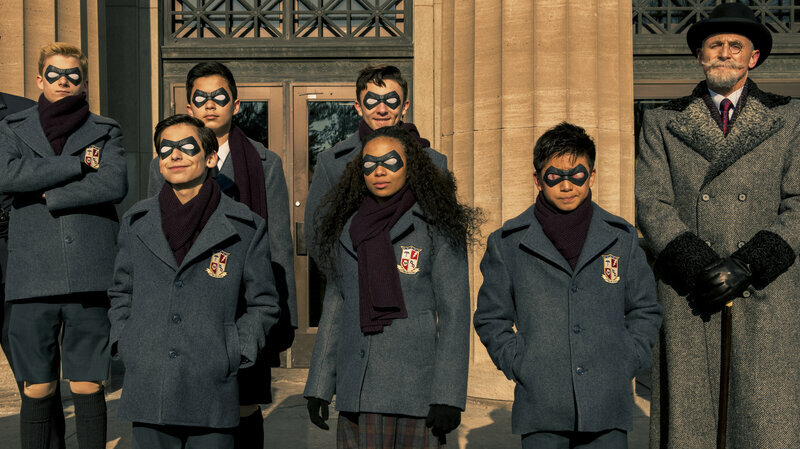 The Umbrella Academy is 100% the type of show where you have to binge it. There so many characters and plot points to keep up with, not to mention timeline rewrites. Yet despite the chaos, I couldn’t take my eyes off it. It was what you could call a “beautiful mess.” I loved almost all of the characters and their powers, except Ellen Page’s character Vanya, but I’m pretty sure that’s intentional. The powers are so unique too, they’re not the standard flying, strength, or x-ray vision. If you’re on the fence about checking it out, I urge you to go ahead and do it! AVAILABLE FOR STREAMING ONLY ON NETFLIX. I was extremely skeptical of this series, since I loved the original series growing up and personally think that Riverdale is a plague. To be honest, I actually genuinely liked it. 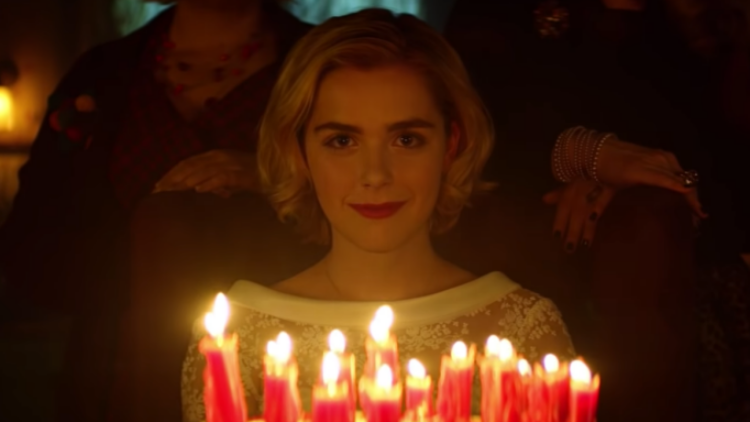 It was a bit over-exaggerated in dialogue, but I did like Kiernan Shipka’s take on Sabrina. However, lot of the characters besides Sabrina are one-dimensional and rather unchanged by the end of the first season. Somehow it’s a better version of Riverdale and personally my favorite part is how timeless the series is. It has an overall vintage 50s – 70s vibe with retro cars, but mixed in with modern electronics, such as cell phones. Overall, Chilling Adventures of Sabrina has an addictive aesthetic that makes it hard not to want to binge watch the whole series and Christmas special. This was the first show that Netflix was promoting on my homepage and it’s typically not something I would even consider, but I was sick and just watched to watch something. Currently, I have some mixed feelings about it. Overall I did like the series, but there was just way too much going on for me, from magic to werewolves to college. I also didn’t particularly like the main actor, his casting definitely could have been better. I just kept getting distracted because he looked so familiar, but I hadn’t seem anything he’s been it. It turns out that he really looks and sounds like Shawn Hunter from Boy Meets World. Overall, it’s not a bad show and I actually rather enjoyed The Order. It kept me interested enough that I managed to binge the whole season in one sitting, but compared to the rest of Netflix’s sci-fi originals, it just doesn’t shine. There is a possibility for Season 2, so I might reconsider, but for now I wouldn’t waste my time.